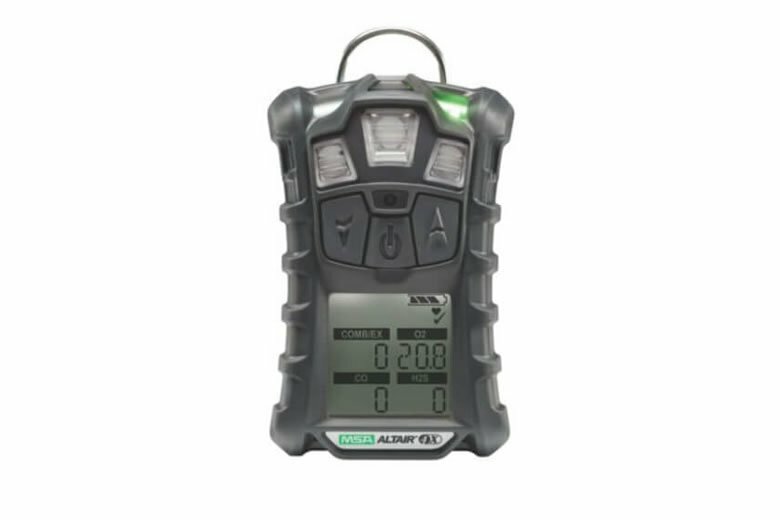 The ALTAIR 4X is a reliable multi-gas detector that measures O2, H2S, CO and combustible gas. A rugged housing provides unsurpassed durability, including the ability to survive a 6 m drop test onto concrete. And with large, glove-friendly buttons and a high-contrast display, the ALTAIR 4X multi gas monitor is easy to operate in any work environment, even low-light conditions. A full range of accessories is availabe. The real strength of the ALTAIR 4X Multigas Detector comes from new sensor technology. MSA XCell Sensors double the industry average, and are engineered using MSA’s proprietary application-specific integrated circuit (ASIC) design. The sensors’ controlling electronics is miniaturized and placed inside the sensor itself. Superior stability, accuracy, repeatability and fast response characterize the new MSA XCell sensors. They are remarkably long-lasting and designed for an average life of more than four years. An end-of-sensor-life indicator gives advanced warning to user, eliminating service outages. Micro-electronics inside the sensor lead to faster response and calibration times. The ALTAIR 4X is an extremely durable Multigas Detector that simultaneously measures up to four gases from a wide range of XCell(R) sensor options including combustible gases, O?, CO, H?S, SO? and NO?. The ALTAIR 4X Detector surpasses industry standards in several crucial areas. Its four-year sensor life is 60% longer than the industry average, while its 24-hour run time exceeds the industry average by 71%. This versatile portable detector is a perfect match for industries ranging from fire fighting to welding, and its digital sensor output makes it less likely to suffer from RF interference. The unit features exclusive MotionAlert™, which lets others know if the user has become immobile, and InstantAlert™, a manual alarm that alerts others of potentially dangerous situations. This rugged unit is designed to withstand a drop of up to 20 ft (6m) and uses less than half as much calibration gas as the industry average. To receive more details please complete the request form below. Your email address will never be shared with any 3rd parties and you will receive only the type of content for which you have requested. The Fire Product Search website is an ever growing international community of fire chiefs, professional fire fighters, fire training officers and trade specialists covering the field of fire fighting and rescue. With over 135,000 unique visitors each year and growing, Fire Product Search provides the latest information on fire fighting and fire rescue equipment as well as the largest and most detailed database of fire and rescue companies in the world.